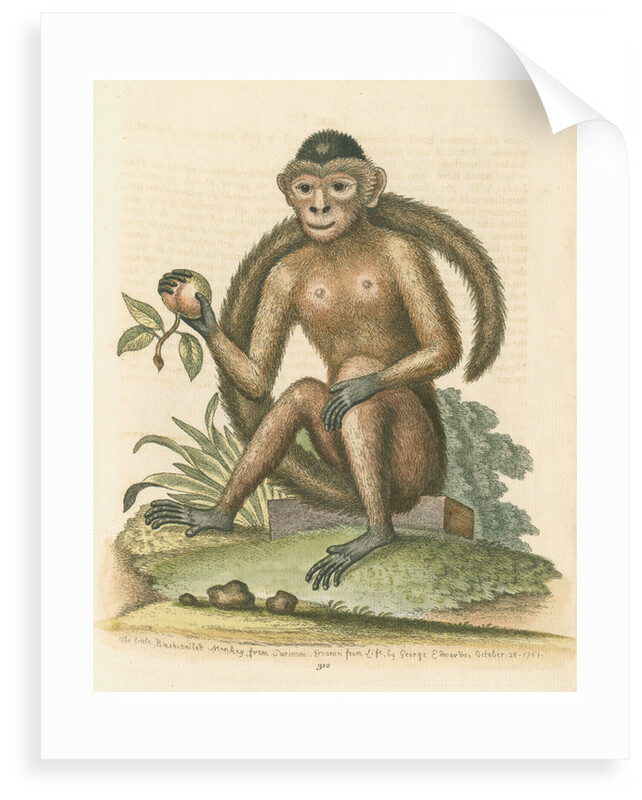 Zoological study of a monkey, possibly a tufted capuchin Sapajus apella, although Edwards identifies the animal as being from Surinam. 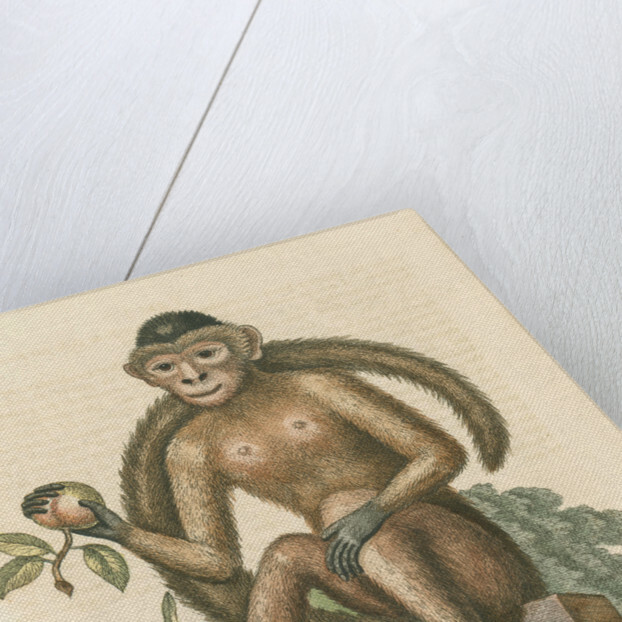 The monkey is shown seated on a stone slab and holding fruit. 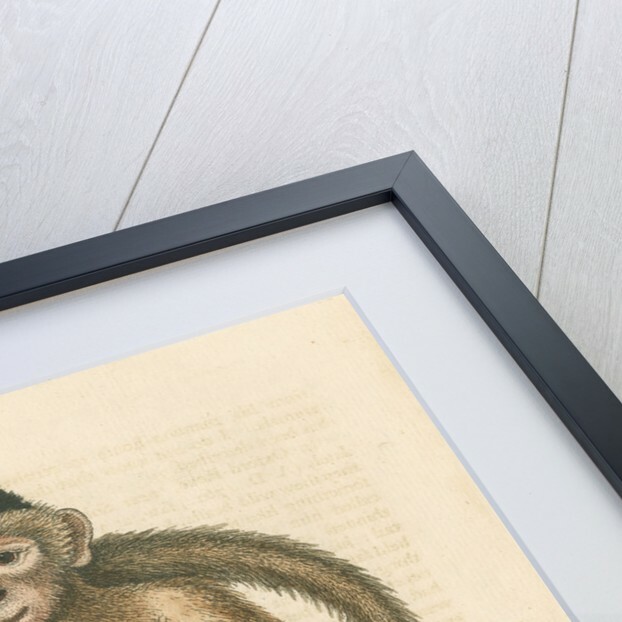 Plate 312 from chapter 102 of Gleanings of natural history, exhibiting figures of quadrupeds, birds, insects, plants, &c..., by George Edwards, volume 3 (London, for the author, 1764). 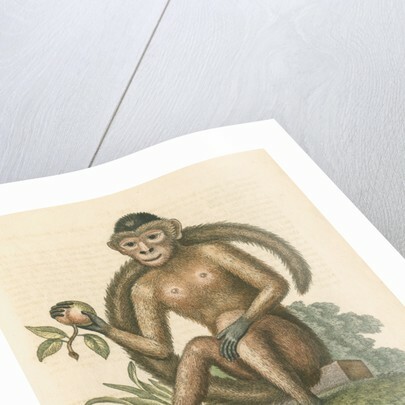 The plate is inscribed: "The little Bush-tailed Monkey, from Surinam. Drawn from Life, by George Edwards, October 28 1761."